I've had a terrible loss - four cameras stolen out of Alder Creek in the Angeles National Forest. I had been getting great wildlife images in that spot for two years, and almost never saw any other humans come through. 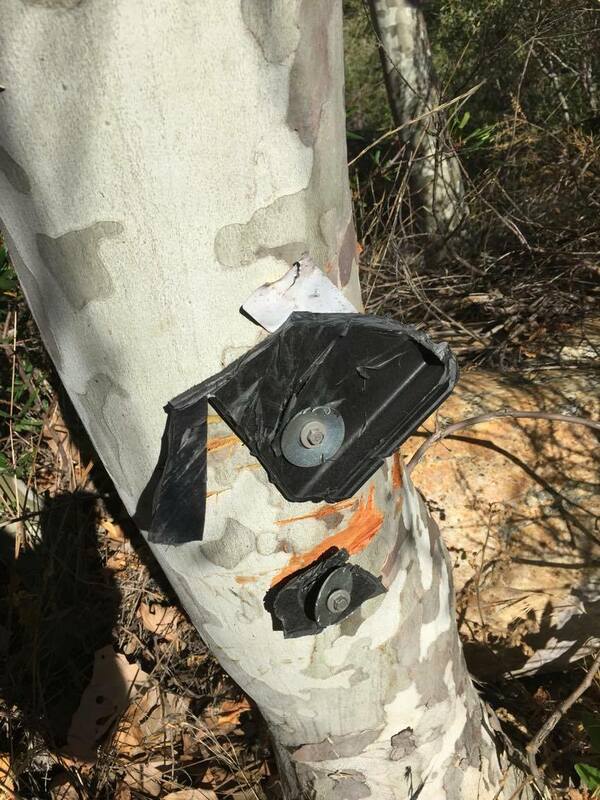 The thieves (there were two sets of shoe prints) cut through the cable locks with an axe or hatchet of some kind, and ripped one of the cameras off the tree with brute force, leaving parts of the shattered case behind. I make no money from camera trapping. 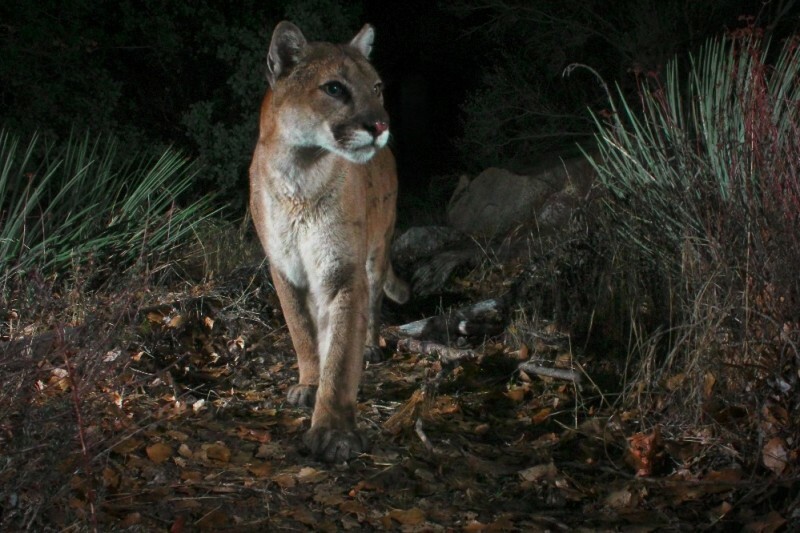 It's a hobby I love, that I have used to raise funds for conservation groups such as the Santa Monica Mountains Conservancy, Arroyos and Foothills Conservancy, and Animazonia, a big-cat sanctuary. The 'work' is the most fun I can possibly have, but it is a lot of long hikes, carrying heavy equipment and constant maintenance. Since I pay for all the equipment myself, I'm not able to afford replacing these cameras without some help. If you enjoy these images like I do, I would be so appreciative of any contribution you could make to help me get back 'up and running' again. Thank you! Prints have shipped! Beth G., Marilyn P. and Michelle L. will get their prints in a few days. Have I forgotten anyone? Let me know! Thank you all again. This is so wonderful!! Thank you all so much. If you've ever had something stolen, you know how awful it feels. I know that this is making Robert feel so much better. He would have kept camera trapping, of course, but with four fewer cameras including his DSLR which he just recently got, and paid for....this was a huge blow. Now he can replace those cameras and get back at it. A reminder - if you would like a print, pick one from www.cougarmagic.com or a favorite from Robert's collection, mention it in comments or a PM on Facebook and I will have them sent out within a few days. This is great! If you would like a print, please mention which one in a comment, or PM me or Cougarmagic on FB with your mailing address. Contributors completely rock. Love you all. Thank you so much. I will make sure your donation is repaid in great wildlife images. Get an 8x10 print of your choice from Cougarmagic images. Get an 11x14 print of your choice from Cougarmagic images. Hike with us to check cameras. (Must be willing to hike off-trail in rough conditions). So sorry this happened to you Robert. Hopefully, you can get them all back up again. Sorry I couldn't send more, but I hope every little bit can help. Yes, happy to hike in rough terrain and check cameras. Robert's photos and videos are amazing, always. The theft is heartbreaking. We love Robert's videos and share them to promote a love of our local wildlife with our neighbors and the world. Citizen science is an important venture - keep up the good work!